The seeds themselves are also different shapes, colours and sizes – from mottled pink, to black, brown, white or a mixture.The flowers are perfect, self-compatible and predominantly selfpollinating. From my own research / experience I’ve learnt that some beans can cross pollinate easily – namely Runner Beans, Butter Beans, and Broad Beans. 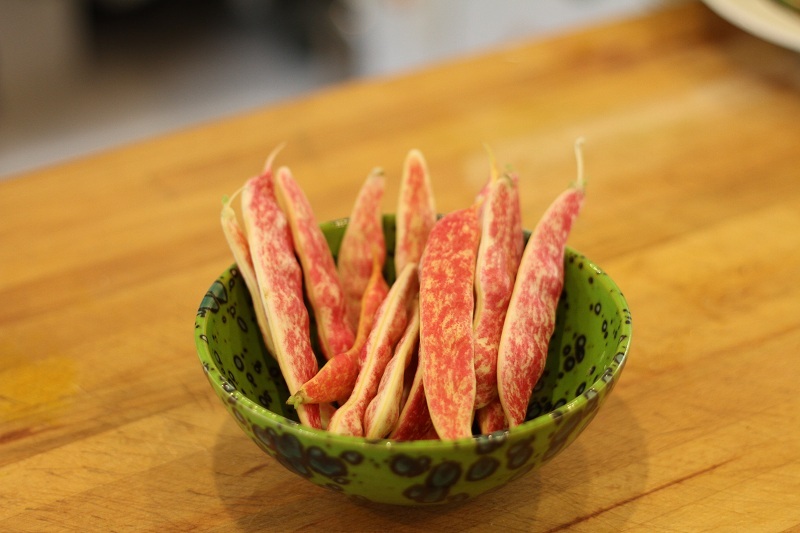 So these notes only apply to French Beans – I plan to add details of how to save seeds from these later on. French beans being grown for seed should be grown as you would for a normal crop. However, you should give them as long a growing season as possible to allow the pods to mature and dry, so early sowing and plantings are best. It is important to grow some bean plants specifically for seed, rather than just collecting the left-over pods at the end of the season. Any plants that aren’t as healthy looking or as true to type should not be used for seed saving. Some plants may produce noticeably different foliage or pods from the majority of the plants; seed should not be saved from these. In wet weather, collect the pods individually, then spread them out somewhere out of the rain with a good airflow until the pods are fully dry and brittle. 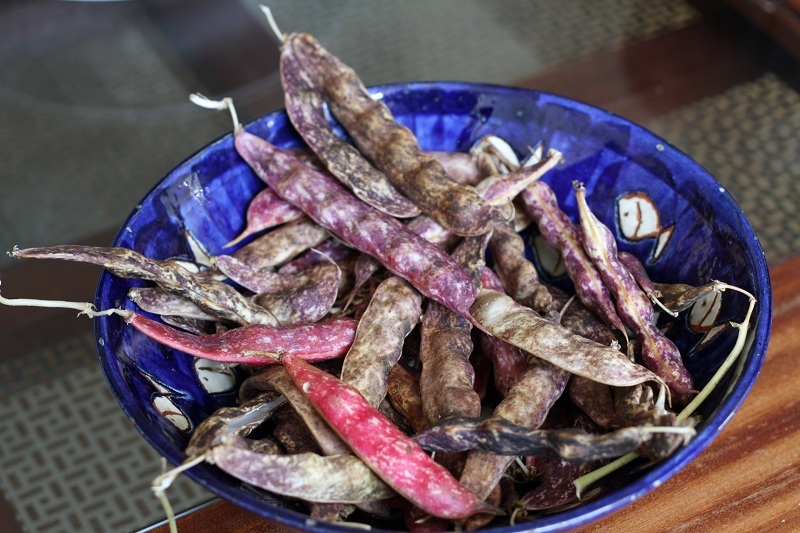 I did this last year, and put the bean pods in trays, with a label, indoors and left them to dry. The drying process took getting on for a month. The pods are very crinkly and dry when properly dried. A good tip is that the beans should be dry enough that they break when you bite on them, rather than leaving a dent. Store in an airtight container. 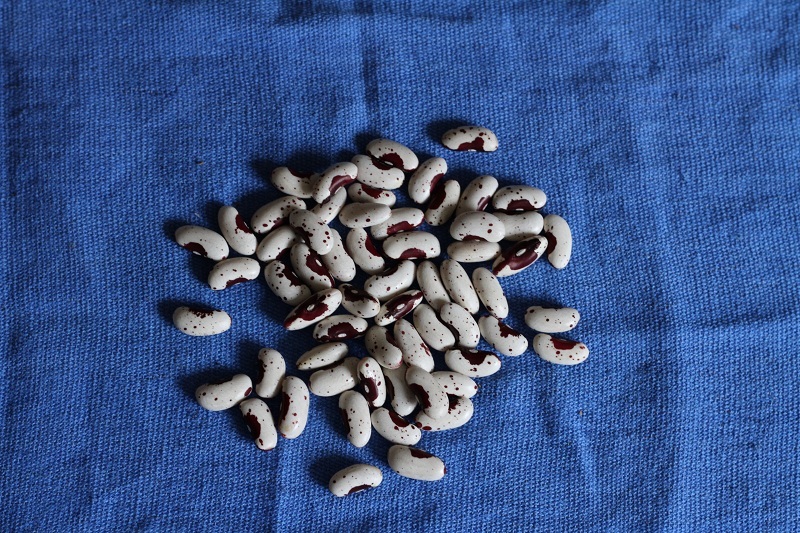 If they are well dried, and stored in a cool dark place, the beans will last around 3 years. You may notice small holes in the beans. These are caused by bean weevil. The advice from Real Seeds is that if you have problems with weevils eating your seeds, put the sealed container in the freezer for a week immediately after drying the beans; this will kill any insect eggs before they hatch. When you take them out, let the container come up to room temperature before opening it, otherwise the beans will absorb moisture from the air.